London and EU are implementing Brexit Negotiations. European Union and The United Kingdom are intensifying discussions on the British departure from the union. “From now on we will negotiate on an ongoing basis,” said Michel Barnier, chief negotiator on behalf of the EU, after meeting with Dominic Raab, the British Brexit Minister. The Briton responded he was confident that London and Brussels would reach an agreement on the withdrawal on 29 March 2019 in October. “We can do that if we have that goal, business and energy on both sides”. It was the first conference at the political level after the summer holidays. 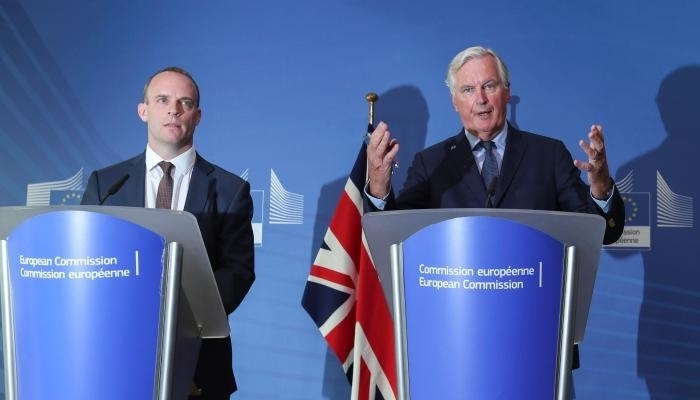 Technical working groups began again last week, but now Barnier and Raab want to meet each other more frequently to deal with leading issues more quickly. The first appointment is already next week. “The negotiations are approaching the final stage,” Barnier said. on how private individuals and companies must prepare for a Brexit without agreement if that happens. There is still no solution for the border between EU country Ireland and Northern Ireland, where people and goods even pass freely.